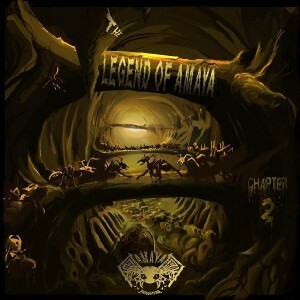 Compiled by Ashiana and Sharas, The Legend Of Amaya Chapter 2 is the second release from Amaya Productions, a label from Germany. Returning to the darkpsy and forest music themes of the original, this is a deep and hypnotic trip inside the world of psychedelic trance. Mastered by Anomalistic Studios with artwork by Aitor Torres. MP3 Download | FLAC Download | WAV Download · Download count: 10,416. Be the upper so you say. OK fine, Love the darkness you portray. Again here we are, all of life, forgetting what we are. That is the case, distaste. Man I love your taste, your blood in your mouth, I wish I could lick it up and never doubt. Its OK that you are scared, the world you live in is not a flare. Skin, touch, love, buns, your little booty is a deliciousness afare. As with Chapter 1, this entry rocks!! Back into the forested, troll-filled deeps with some twisted, wicked ground stompers here. Keep up the good work!! Great compile. Ashiana & Dar Kapo killing it! !